Uh, so much for official product launches. 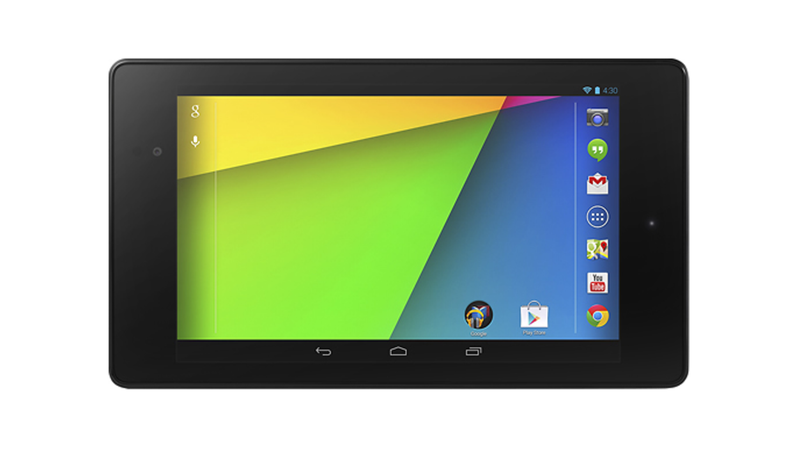 Thoroughly leaked and benchmarked already, now Best Buy has opened up pre-orders for Google's new Nexus 7 ahead of its official launch. Best Buy's online store provides full-res images of the new tablet, making clear the new rear camera and Nexus branding. Best Buy also confirms all those specs we've already heard of: a 1920 x 1200 (323ppi) display, 2GB of RAM, 1.5GHz Qualcomm Snapdragon S4 Pro 8064 processor with Adreno 320 graphics, and new 5-megapixel rear camera. It also confirms that the slate will be running Android 4.3. The Best Buy site is offering both the 16GB and 32GB models for pre-order. The first will set you back $230, the latter $270. If you're interested, this videofrom Android Police shows off the unboxing of the new tablet.